I have been stunningly slack in this blog of late. Ummm… sorry ’bout that. It’s been busy but I know that’s no excuse. It’s not just this blog I’ve let slide however, as my friends will tell you I’ve been spectacularly negligent on that front as well…. which is a problem because most of my close friends’ birthdays fall within these few months. And – in terms of them getting presents on time – well, I’ve failed miserably. Instead there have been apologetic emails and phone calls. I generally have their gift, but buying, wrapping and then posting it so it arrives on time seems to be beyond my current capabilities. However, it means I have been spending a lot of time gift-buying. 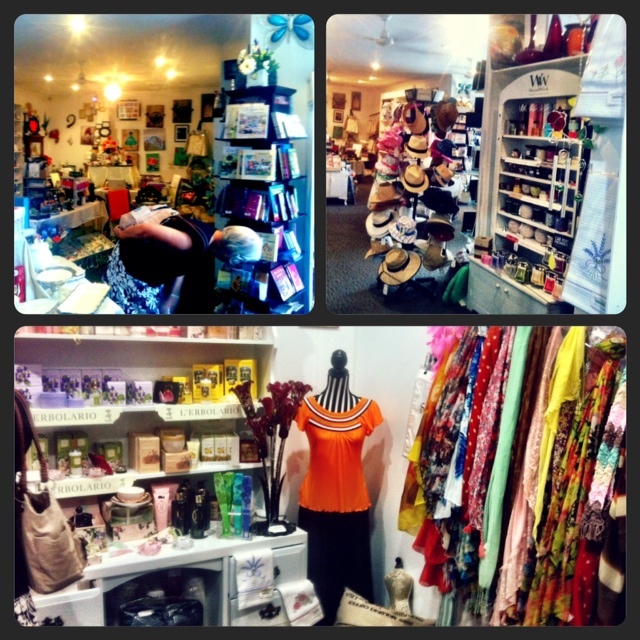 In my current hometown of Hervey Bay I have a few go-to places: Pandanus and Open House are generally my best bets… but a couple of weekends ago (as I was looking for something specific) I spent much of Saturday checking out some of the great stores Maryborough has to offer. Homewares from Everywhere is (seemingly) fast becoming a coffee / catch-up favourite. Located slightly off the beaten track (45 Gayndah Road) my mother has met friends there for coffee half a dozen times there in the last month or two. I’ve been once before but it’s expanded since then – the cafe in particular growing to meet its increasing trade. As the name suggests, the store has an eclectic array of ‘stuff’ (which is a technical term, in case you were wondering!). There are lots of lovely gifts and homewares as you’d expect; but there are a heap of scarves and clothes as well. I actually fancied a couple of the handbags but sadly couldn’t justify any new purchases for me. 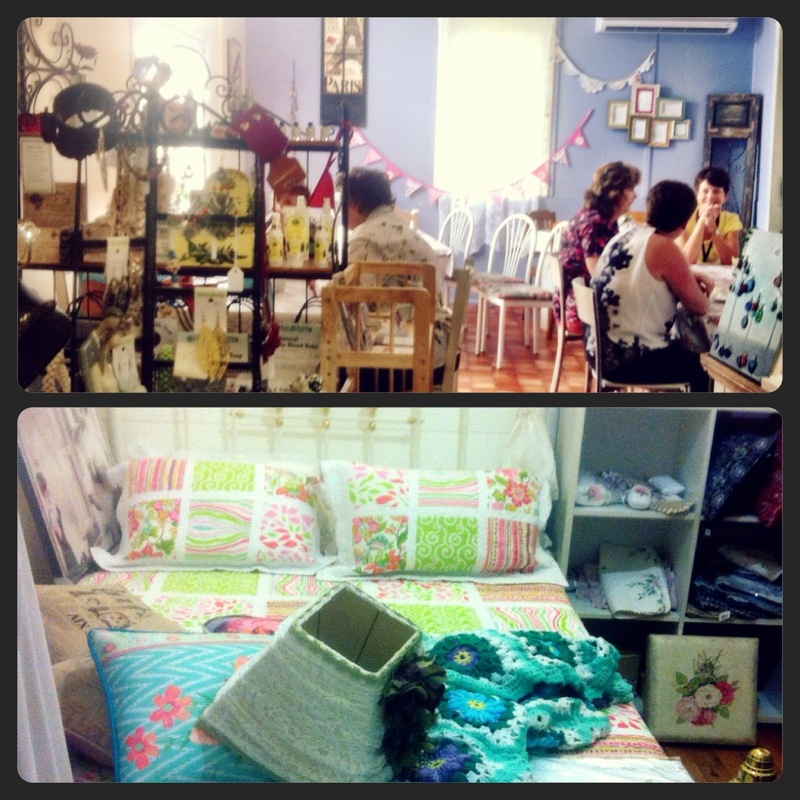 It was my first visit to Maddison Cottage Gift Shop and Tearooms (located on the corner of Richmond and Ann Streets). It also houses a cafe along with its giftware range. I fell in love with a few pieces there and bought an early birthday present for my aunt while my mother bought a few gifts as well. Some of its products were bit too french / shabby chic for my taste but I know they appeal to many and the store certainly had a great array. Janet’s Art, Books and Coffee (264 Kent Street) was our last stop. I’d been there before but was looking for a particular book for a friend and I knew that Janet’s had a HUGE range of books (non-fiction coffee table books, albums and the like). It also stocks jewellery and knickknacks, while the cafe sells some gluten-free goodies. I often actually go there to buy my cards because there’s always something (a bit different) that takes my fancy. Janet’s Art also has jazz music in their courtyard on a regular basis. I probably need to add that the only downside to all of these venues being cafes / homewares and gifts is that you ‘occasionally’ have to wait a while for service. But… I’d recommend you go when you have time to spend as they all deserve a lengthy browse. 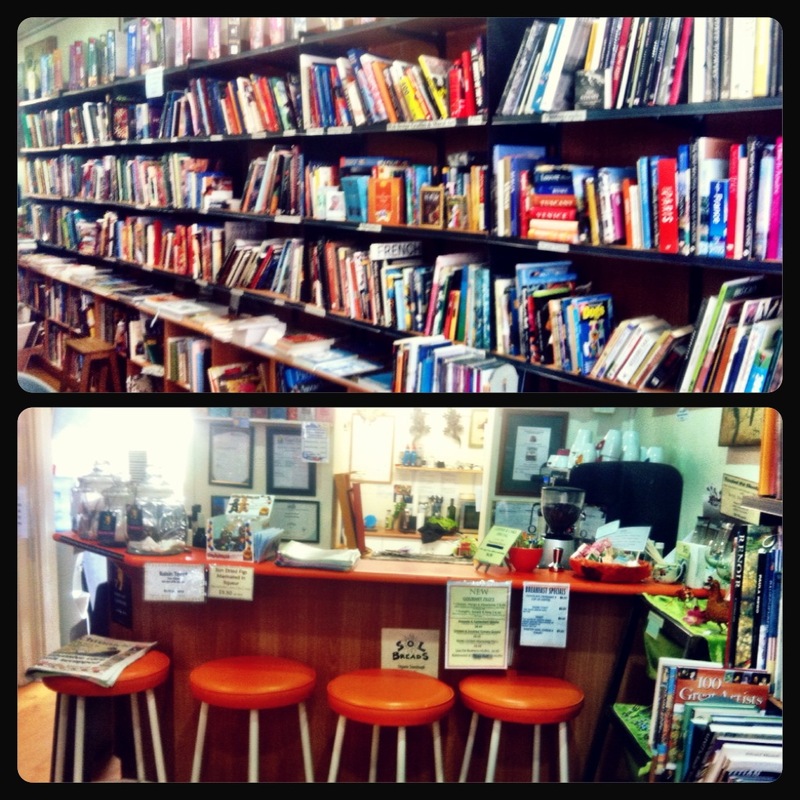 I’ve missed stores within Maryborough’s CBD I guess, but anywhere else? Definitely keen to check out these places! Have heard of Janet’s but not the others, so thanks for scoping them out.